How are applicants answering to hidden field? Also, I have hidden the "Shirt Size" field. Why are applicants sending in their shirt sizes? 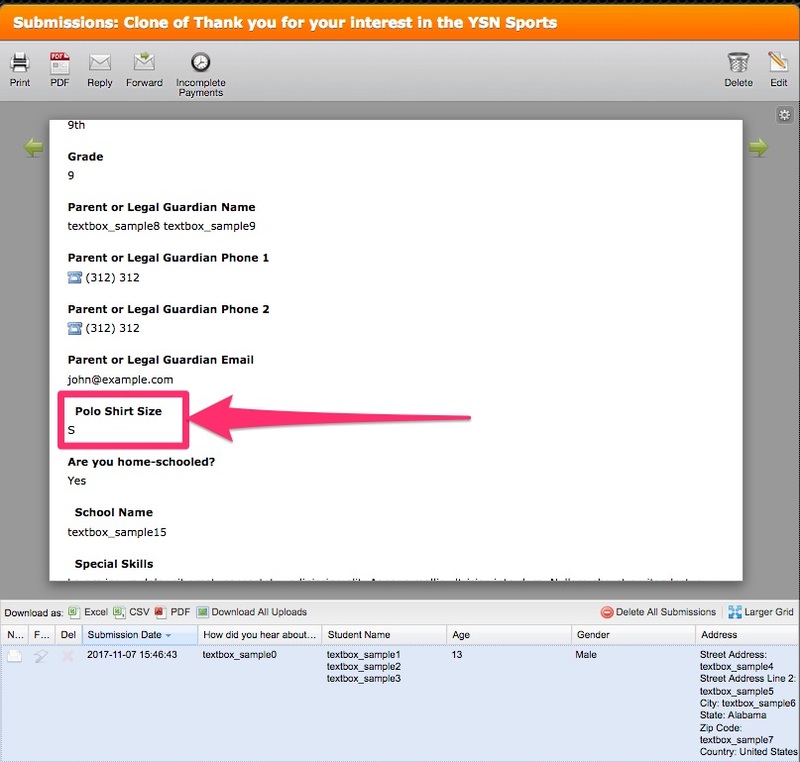 I have cloned your form named "Thank you for your interest in the YSN Sports Broadcasting Academy. We look forward to having you join our student body and creating life-long wonderful memories for you and your family!" on my side in order to test it. Please set the default answer to empty option if you do not want to see that field in every submission.